FESPA Global Print Expo 2018 (Messe Berlin, 15 to 18 May) reinforced its standing as the global landmark event for speciality printers, with visitors from a record 142 countries gravitating to the German capital for the four-day show. Following the 2017 shift to an annual event cycle and the decision to amalgamate the flagship show with its FESPA Digital ‘spin-off’, FESPA 2018 also attracted the largest number of visitors ever for a four-day FESPA show, with 20,442 individual visitors to FESPA and the co-located European Sign Expo 2018. This represents a 22% increase on the number of individual visitors to FESPA Digital 2016 (Amsterdam), FESPA’s last four-day event. Two-thirds of all visitors dedicated more than one day to the event to cover the ten exhibition halls and take advantage of the expanded content programme, including European Sign Expo, the FESPA Trend Theatre, an enlarged Printeriors showcase, the new Print Make Wear garment production feature, and the first-ever Digital Corrugated Experience for packaging and point-of-sale. These repeat visits brought total event attendance at FESPA 2018 Global Print Expo to 33,799. Germany delivered the largest percentage of visitors overall, with 26% of the total audience coming from the host country. After Germany, the top ten countries in terms of visitor attendance were the United Kingdom, Poland, Italy, Netherlands, Spain, France, Czech Republic, Switzerland, Belgium and Sweden. The high number of Polish visitors in particular reflected the accessibility of Berlin for printers from across the border. The dominant area of visitor interest according to the event registration data was digital printing, which was the key focus for 44% of all visitors. FESPA’s sustained coverage of innovations in textile printing was reflected in the fact that one in three 2018 visitors indicated an interest in textile and fabric printing. Commercial print, finishing, design to print, sublimation printing and industrial printing also featured particularly strongly among visitors’ priorities for the event. 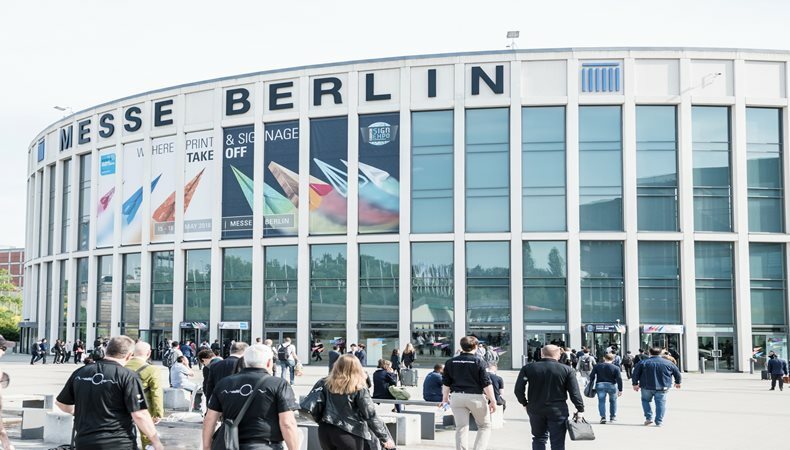 The optimism of the market as a whole, as reported on site in the latest FESPA Print Census, was evident in the energetic mood throughout the exhibition halls. Exhibitors across the show reported excellent business and strong interest from print service providers in technology and consumables innovations to drive greater productivity and applications diversity. The next FESPA Global Print Expo takes place at Messe Munich, Germany, from 14 to 17 May 2019. FESPA has also confirmed the location and dates of the 2020 edition as 24-27 March 2020, Madrid, Spain.